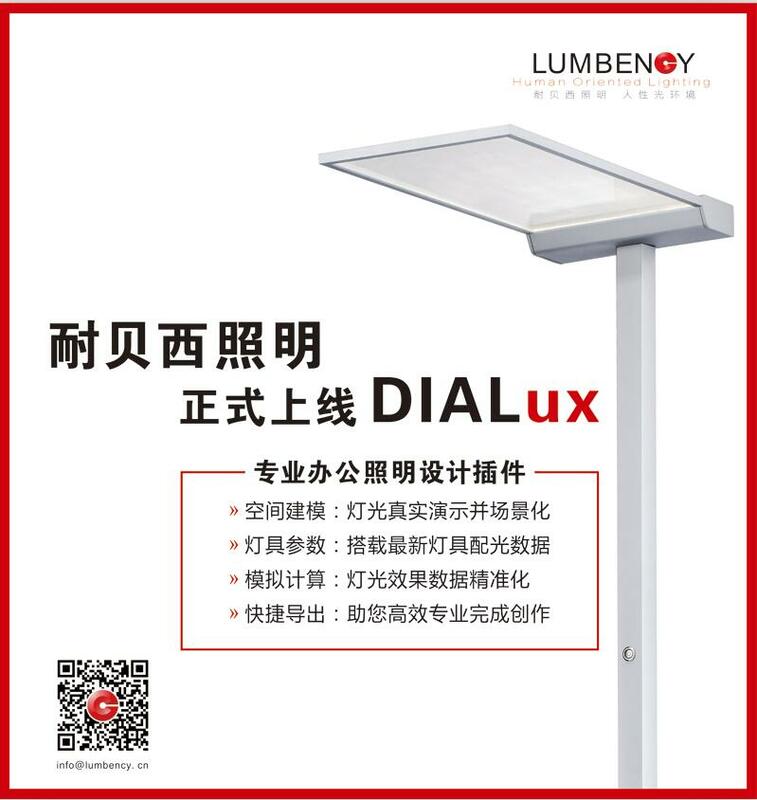 In October 2017, products of lumbency lighting officially launched in the lighting design software DIALUX. 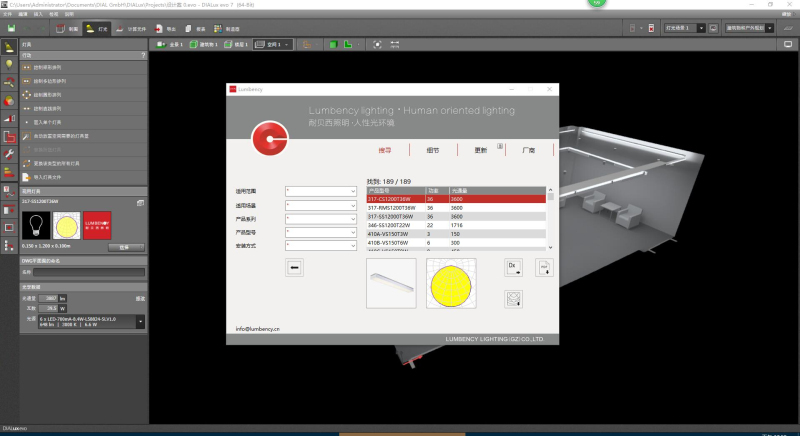 It means that these products can be directly invoked by global lighting designers, electrical designers, interior designers, architectural designers, at the same time designers can directly input IES data of luminaire, measure lighting effects, output illumination reports, bring an intuitive experiences, and easily manage layout of luminaires. At the first phase, data of around 200 luminaires have been uploaded into the luminaire database, including office lighting, commercial lighting, industrial lighting, garden lighting, and architectural lighting. At the same, in the follow-up lumbency will continue to update more lighting products for designers to choice.